Ideal for Advanced Undergraduate and Postgraduate students, this book builds on concepts from Strategic Management, Operations Management,Â Marketing and HRM to give students a comprehensive understanding of Operations Strategy. Â· Â Â An approach that highlights some of the developments in operations strategy, especially how its concepts are having wider application. 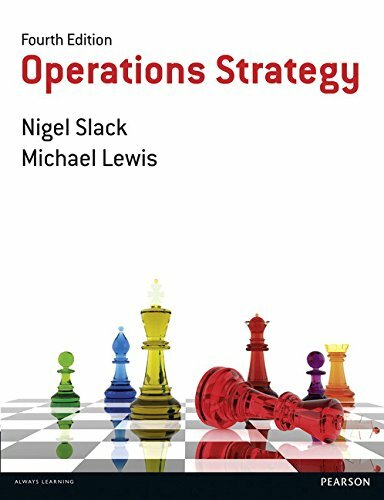 Â· Â Â Many new and updated examples, which cover the topical issues in operations strategy. Two thirds of the examples used are new or updated for to this edition. Â· Â Â The inclusion of some new material relating to such issues as the links between operations management and strategy, triadic supply relationships, knowledge management, and organizational ambidexterity. Â· Â Â New longer cases, but retaining those that proved popular from the previous edition. These cases can still be used form the basis of a whole course in operations strategy.